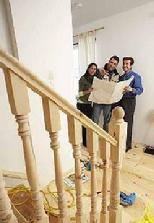 Northern Construction and Remodeling is a full service expansion and remodeling firm, located in the Andover MN area. We handle all phases of residential and commercial construction....from space planning and design through construction and finishing. Our 28 year history and reputation has been built on professionalism and superior craftsmanship. John Sweigert, the owner and President of Northern Construction and Remodeling, Inc. will take the time to get to know you, understand your needs, and then create a unique building design just for you. The staff at Northern Construction and Remodeling are knowledgeable in all areas of interior and exterior construction and remodeling. Northern Construction and Remodeling has been an accredited member of the Better Business Bureau since 1988.